According to WHO, Malaria killed 400,000 people in 2015 and 3.2 billion people are at risk globally hence Malaria is considered Africa’s deadliest disease. 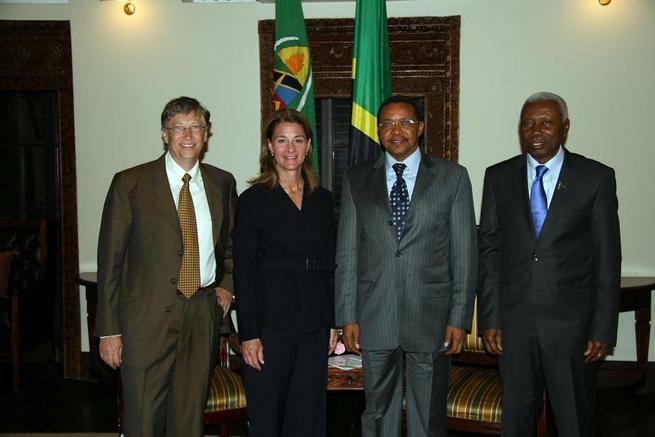 With the support of the world’s richest couple Bill and Melinda Gates and President Obama there is hope for Africa. Jakaya Kikwete, the former president of Tanzania, who lost his brother and cousin to malaria is also committed to eradicating the disease, which killed an estimated 400,000 people globally in 2015 - making the mosquito, which transmits it, the world's deadliest creature. Kikwete said his goal it eradicate malaria by 2040. "We are looking at 2040 as the most probable date for a malaria-free Africa,If we continue with the interventions that we have been doing here relentlessly, we should be able to get there." Get your mosquito nets people! !